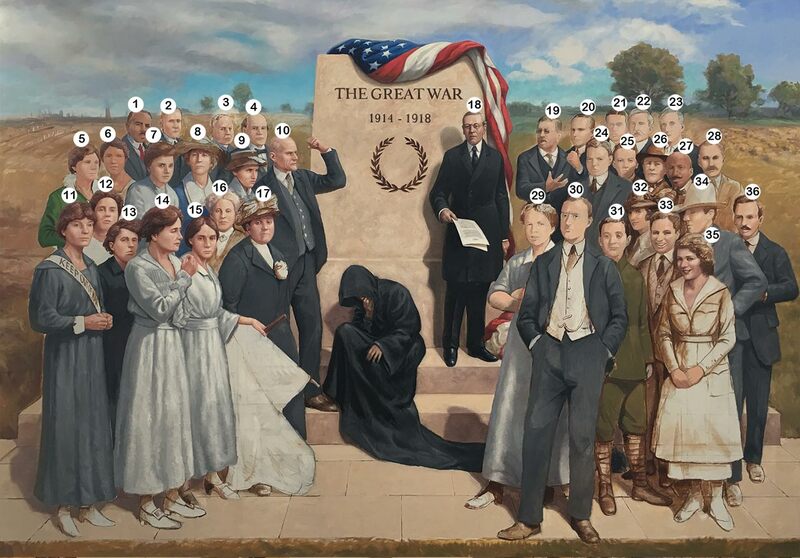 Our 30-foot WW1 America mural painted by David Geister depicts 100 key individuals who influenced post-war America. This 3-section mural was on view as part of the WW1 America exhibit at the Minnesota History Center in 2017. The Pantheon de la Guerre inspired this project. Originally painted in France during the war, the painting was 45 feet high and 402 feet long and depicted nearly 5,000 figures that played a prominent role in WWI. A portion of that painting is on view at the National World War I Museum in Kansas City. 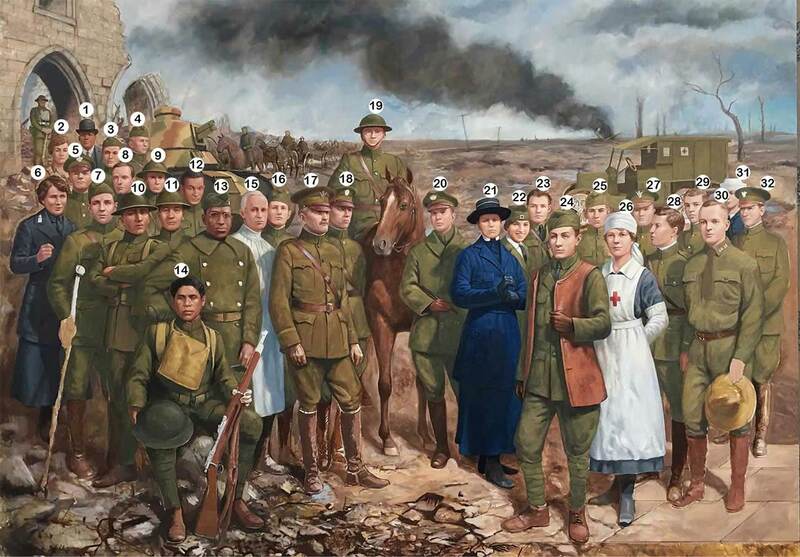 The Minnesota Historical Society commissioned artist David Geister to create the mural, to complement the WWI America exhibit at the Minnesota History Center. 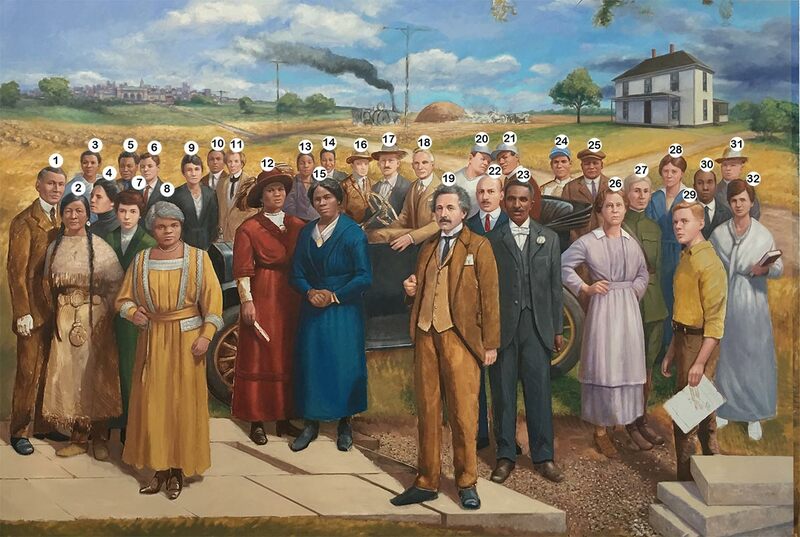 The key individuals in the mural were chosen by MNHS staff, in consultation with historians and the general public.